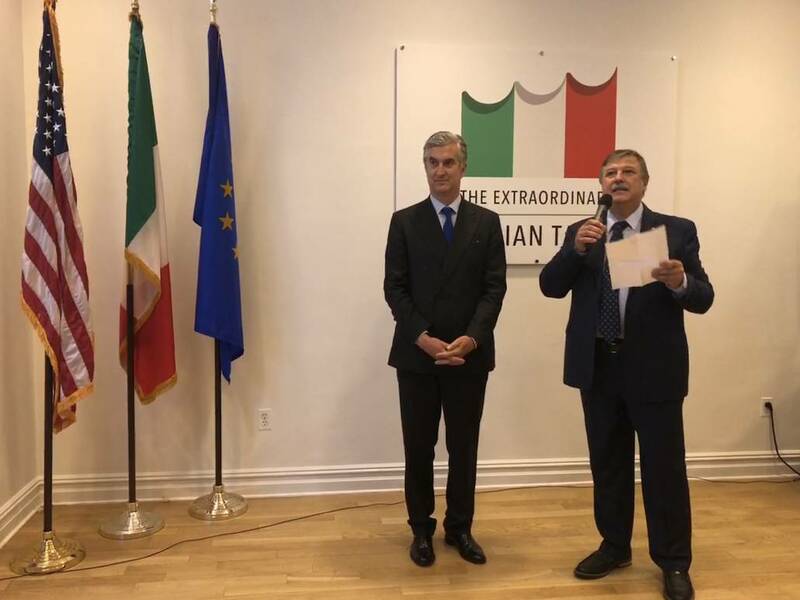 Tuesday was a day of great surprises and emotions at the institutions of the 'Sistema Italia' in New York, where Republic Day was celebrated from the early hours in the morning with special events as well as special guests. 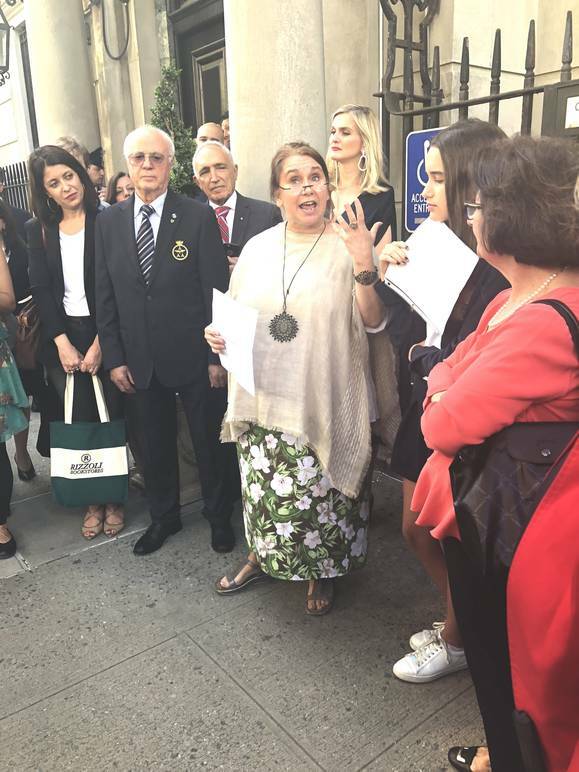 An "Authentic Italian Experience" was lived by a considerable influx of people at the Italian Trade Agency, whose Deputy Trade Commissioner Romano Baruzzi expressed the importance of celebrating Italy’s national day. 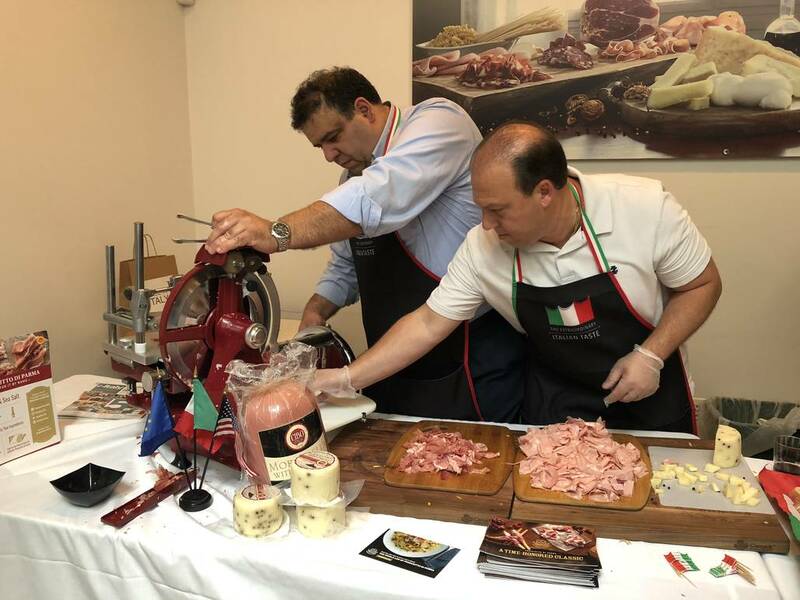 He then thanked all the companies which contributed to the successful event, such as: Agromonte, Parmigiano Reggiano, Cibo Italia, Acqua Lurisia and Cioccolato Venchi. 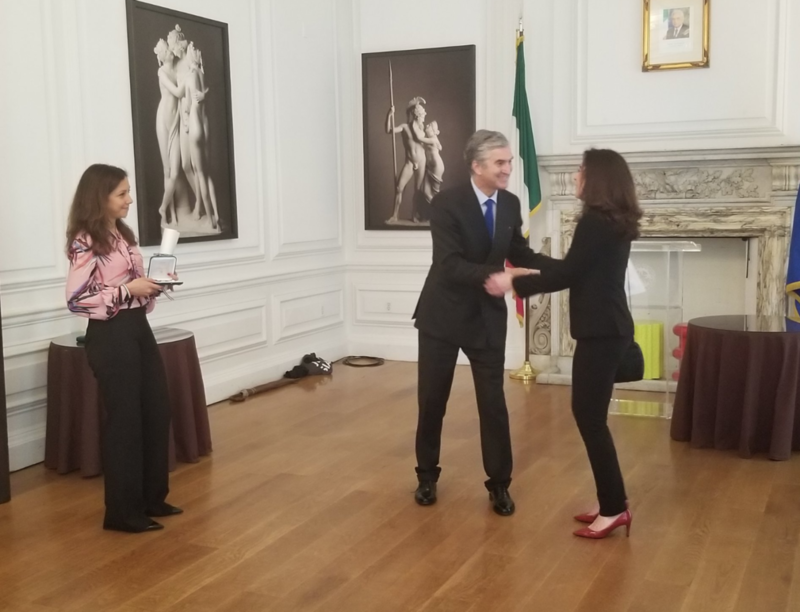 Among the ritual honors of Cavaliere dell'Ordine della Stella d'Italia (Knight of the Order of the Star of Italy) given by Consul General Francesco Genuardi on behalf of the President Sergio Mattarella, there were two amazing women. The first was Maria Laurino, a third generation Italian-American journalist, essayist, and memoirist grown up in northern New Jersey, who published in 2014 The Italian Americans: A History, chronicling the Italian American experience from 1860 to the present day. Just back from the success of Open Roads 2018 opening night, the famous public relations officer Sally Fischer was awarded too. The honor proposals are usually made by selecting the people who distinguish themselves in the various fields of human activities, including the economic, social, political and cultural importances. “Those who work in the world of art, culture and in the cinema industry play a special role and for this reason we proposed with deep conviction the name of Sally Fischer to the President of the Republic . . . I think you, Sally, are living a new complex challenging era where we all need bridges. 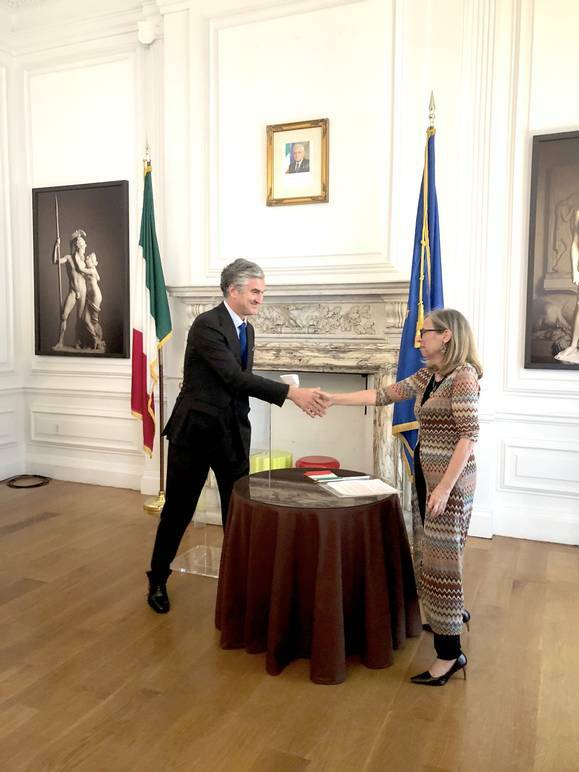 You are a very special bridge between Italy and New York,” said Consul General Genuardi. And we extend our congratulations to Giorgio Spanu (chairman of Casa Italian Zerilli-Marimò and co-founder of the Olnick Spanu Collection), Joseph Sciame, (president/Chair of the Italian Heritage and Culture Committee), Angelo Vivolo (Chairman of the Board Columbus Citizens Foundation), Harvey Sachs (writer and music historian), Frank Desiderio (attorney and founding member of the GDKSK firm0, for being the distinguished recipients of this year’s NY Onorificenze. 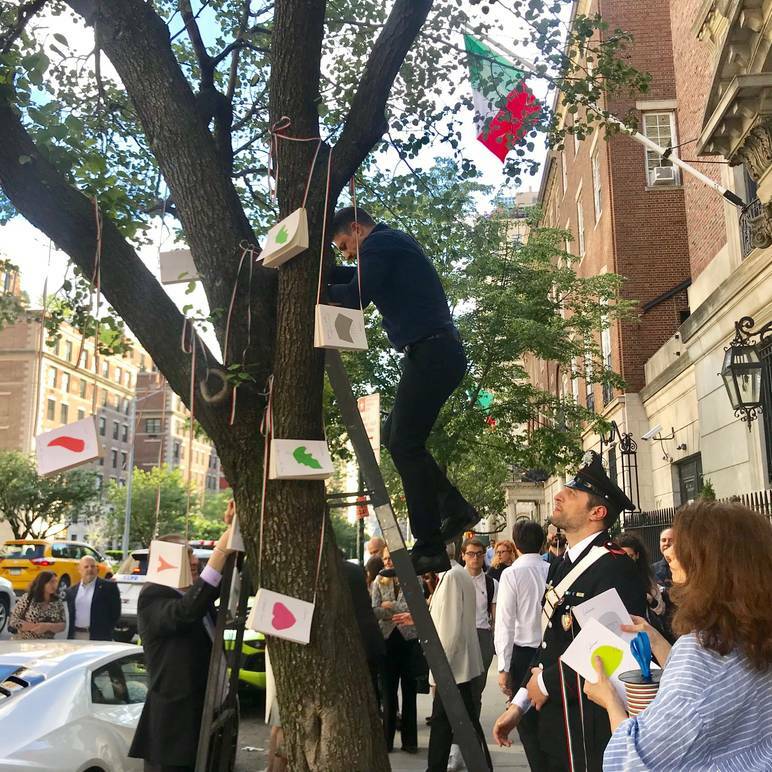 During the same day, in concomitance with the celebration of the 72 years of the Italian Republic, the Consulate General paid tribute to one of the greatest Italian journalists, short-story writers, and novelists of the 20th century, Italo Calvino, and the 61st anniversary of Calvino’s publication of The Baron in the Trees. This masterpiece was published two years later, in 1959, in the United States where it immediately received a positive feedback and is still read, sold and discussed in universities. 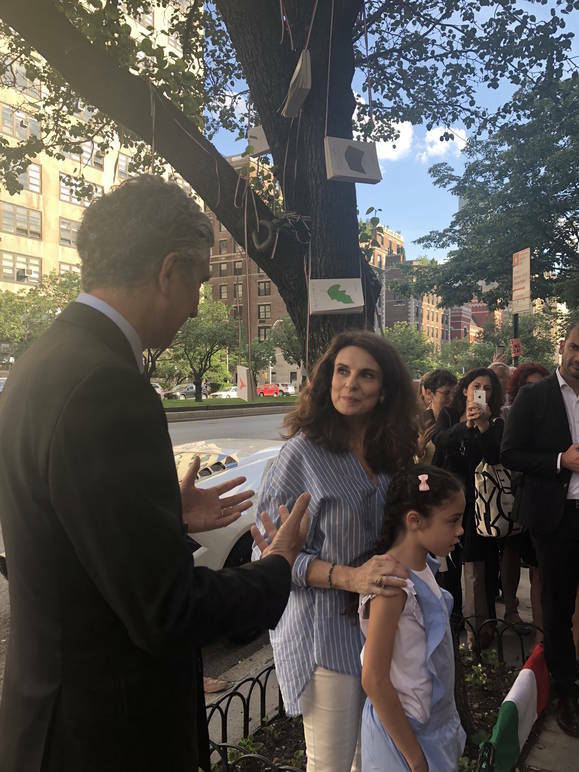 A beautiful tree was dedicated to the author on 690 Park Ave. with the unveiling of a plate showing one of his quotes. 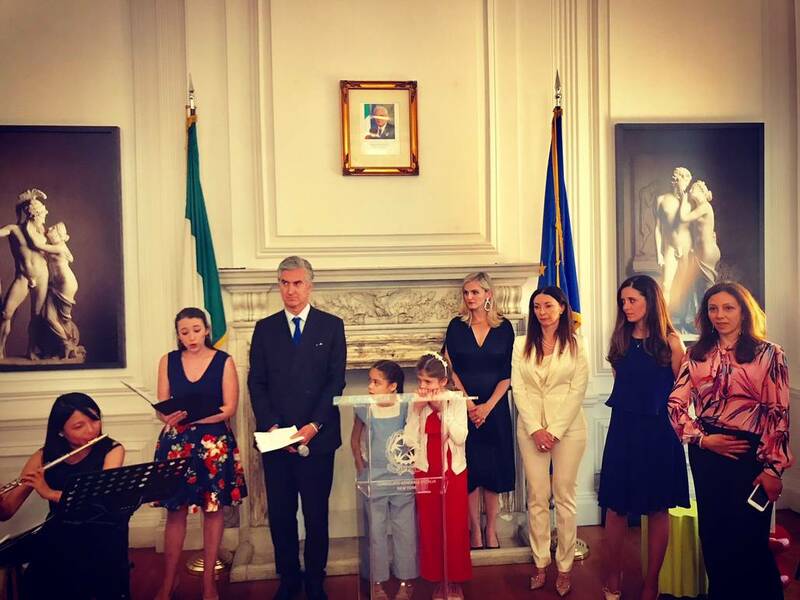 Annavaleria Guazzieri, Director of the Education Office at the Consulate, intervened declaring the will of the institutions to relaunch the Italian literature in schools, starting precisely from Calvino, which represented so much to world culture. 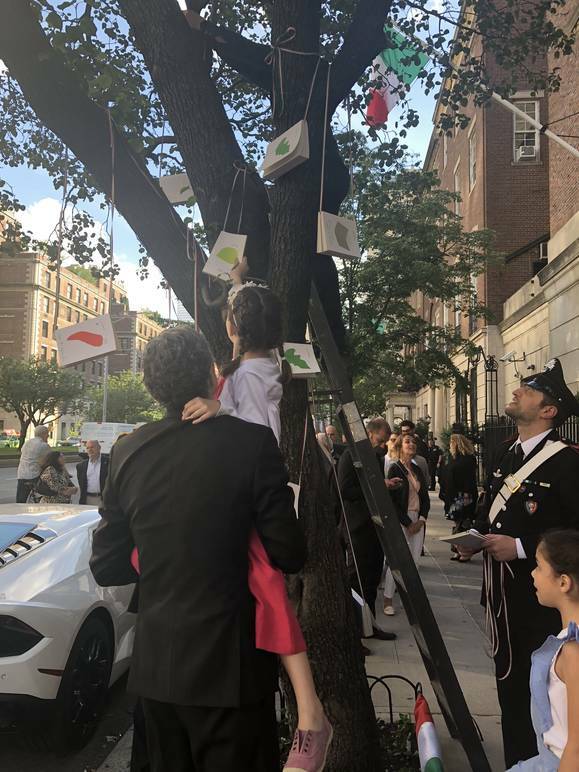 Guazzieri, then, introduced Professor Ghezzo from La Scuola d'Italia who, with the help of two very young students, read and talked about some passages taken from The Baron in the Trees. "With this novel Calvino wants us to understand what is the right distance between our ego and the world. In other words, living in a tree does not mean for Calvino living a life without responsibility, but simply looking at everything from a more detached perspective to understand how things really work. A metaphor, therefore, that can be associated with our condition as expats, who observe Italy with an ocean that separates us,” said Ghezzo. 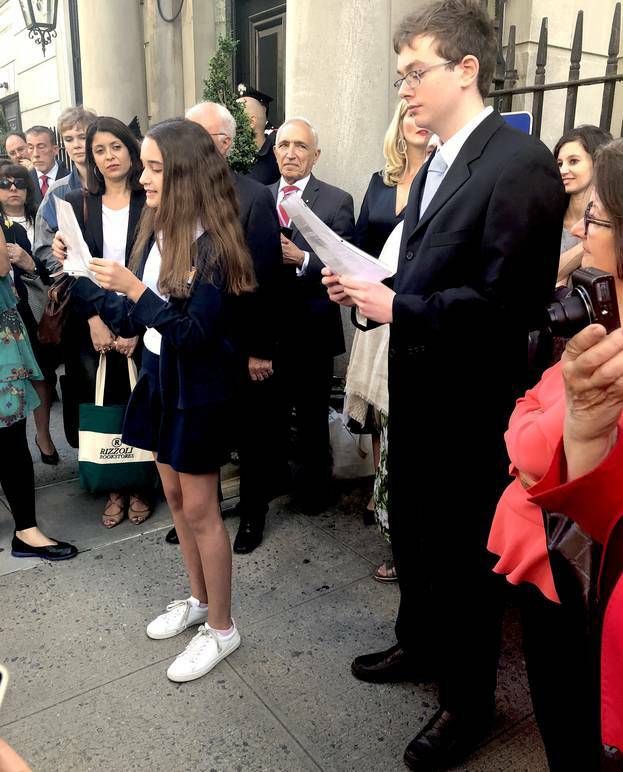 At the end of the day, students from La Scuola d’Italia performed the National Anthem of Italy “Inno di Mameli” and the European Anthem “Inno alla gioia”. 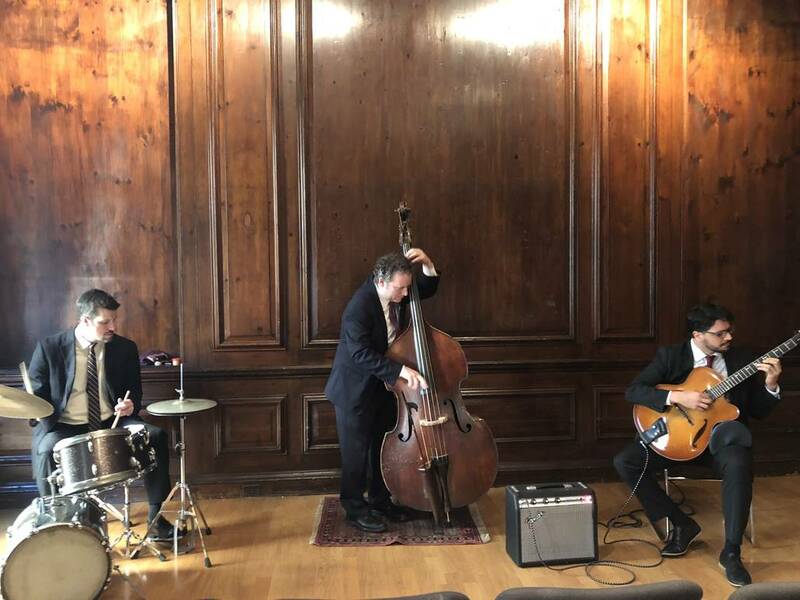 The performance was followed by Pasquale Grasso Trio’s concert at the Italian Cultural Institute.